For businesses of any size, setting up an LDAP server usually involves additional expenditure with greater hardware and management complexity, along with the requirement of staff who know how to configure and secure it. JumpCloud’s cloud-based LDAP service provides an online directory that requires no server infrastructure and makes efficient identity and access management process better across the board and easier to scale. 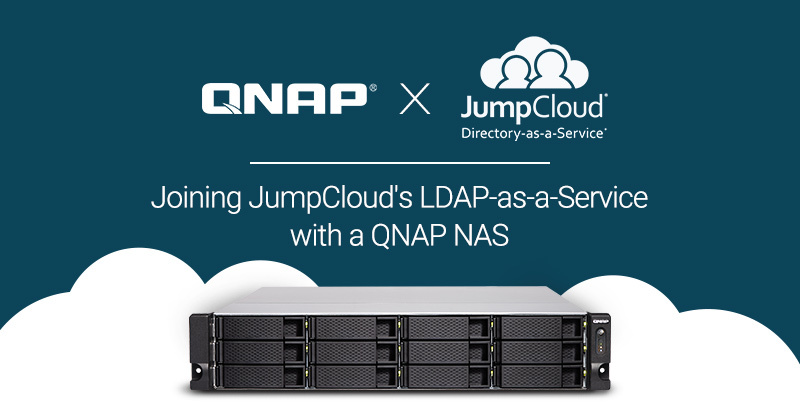 By integrating JumpCloud’s LDAP-as-a-Service with a QNAP NAS, users can securely access shared folders on the NAS via JumpCloud’s support for Samba/SMB using Windows® or macOS® clients. JumpCloud includes more useful features that not only enable IT teams to simplify and offload non-core work but also allow end users to self-serve, providing a next-level user management experience from the cloud. Click here to read our tutorial for integrating JumpCloud service with QNAP NAS.